Did you know that more than half of calls to Carolinas Poison Center involve children under the age of six? Young children like to explore the world around them. This includes putting nearly everything they touch into their mouths. If you find that your child has tasted, touched, or swallowed something you’re not sure about, call the experts at the poison center. Some household products and even products designed specifically for infants and young children can pose a threat if used incorrectly. 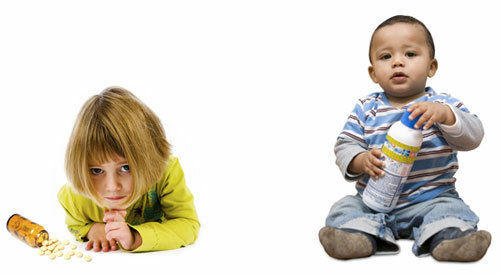 Also, some medications that children take by mistake may have delayed symptoms, so don’t wait for symptoms to appear. In many cases, we can give immediate peace of mind by treating your case over the phone. Remember, calls are free and confidential. If you have a question or concern about something your child may have gotten into, call us at 1-800-222-1222.